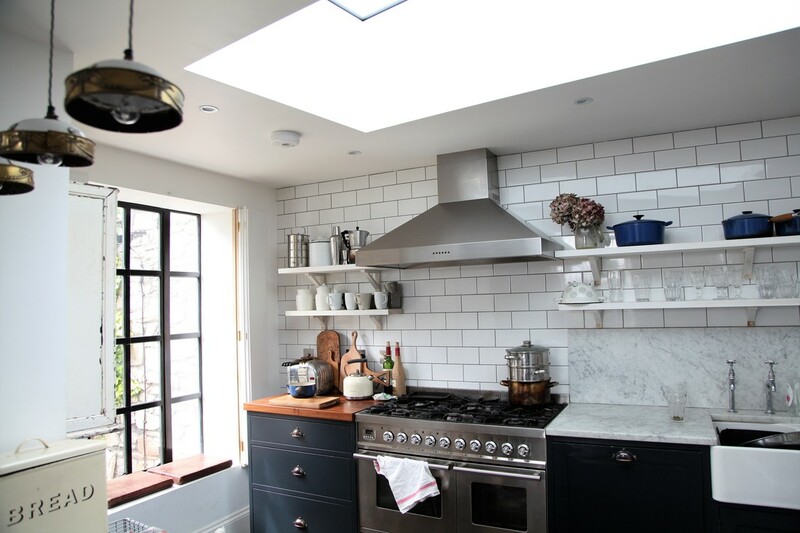 The client wanted to make use of unused courtyard space between their existing Georgian house and boundary wall, and create a new kitchen/living and utility/shower room. 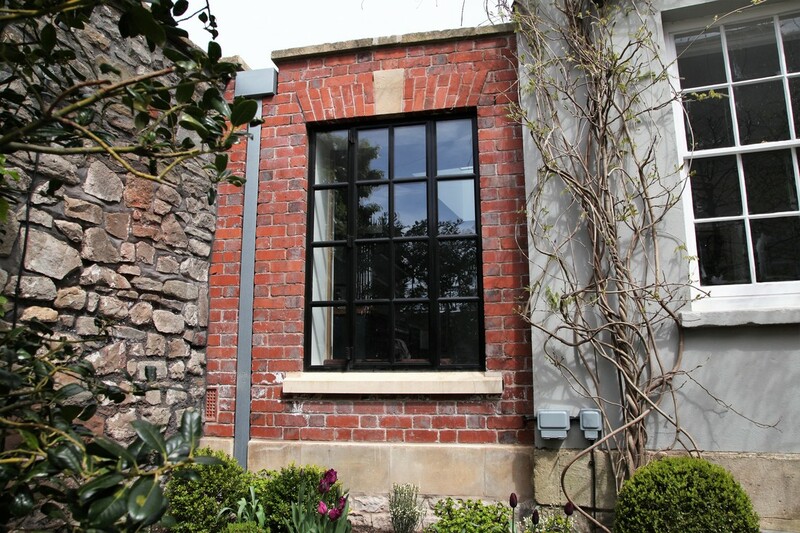 We happily obliged with a highly insulated timber frame construction, with brickwork skin to the front elevation. 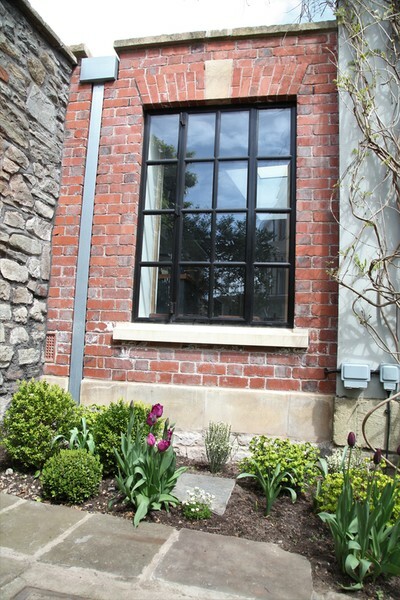 Purpose-made metal window was built to front elevation, set into reclaimed brick and stone facade. 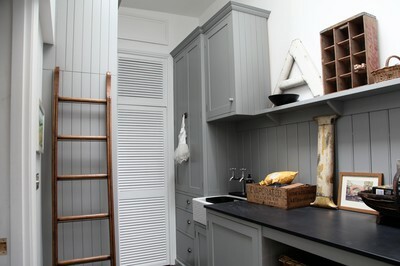 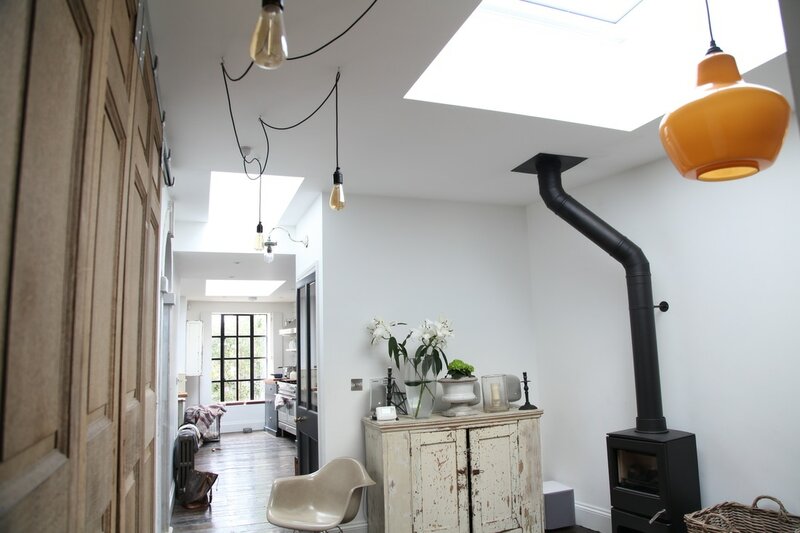 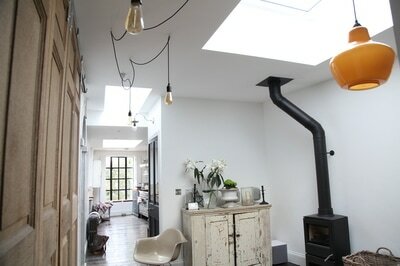 The client made great use of reclaimed materials for the interior fit out to match the existing interior design. The roof is standing seam zinc on a warm roof insulation construction. 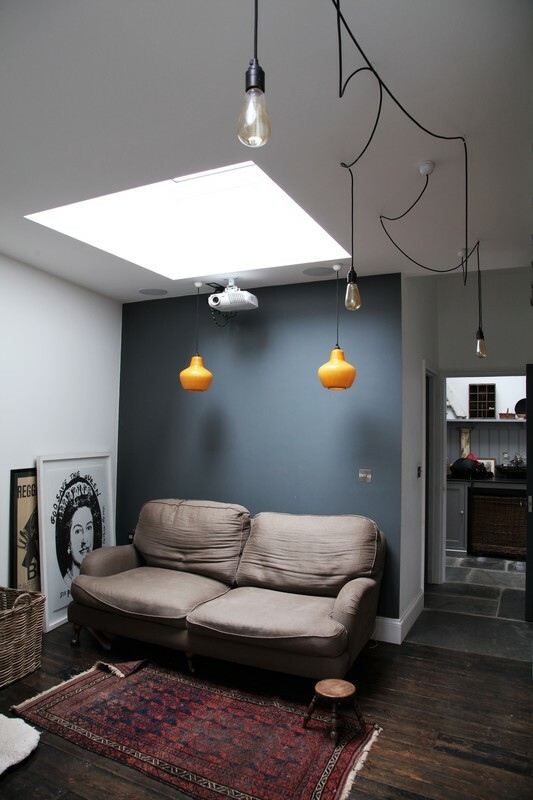 Vitral flat-roof lights were used, electronically openers in the bathroom and utility space.